Using the PLDT-Smart Foundation-CVIF technology, a total of twenty-four (24) national high schools in Basilan Province and Lamitan City with nine thousand nine hundred seventy-nine (9,979) are included in the pilot phase. Aware of the need to expand the MTB -MLE in the region, we have partnered with the Summers Institute of Linguistics (SIL) to develop working orthographies , primers and materials for other regional language. We have partnered with DepEd Cotabato City Division and local knowledge holders to develop the Iranun orthography. We are now preparing for another participatory workshop for Yakan, Sinama, Pullon Mapun and Bangingi. AMORE School Electrification and Education (SEEd) Program provides off-grid schools with Audio-visual equipment using solar-powered electricity. A total of forty-nine (49) schools in Maguindanao, Lanao and Tawi-Tawi are recipients of this program. District heads, school heads and coordinators were trained on the ETV technology and maintenance of the facility. An additional seventeen (17) package will be installed in Maguindanao and Basilan. In partnership with the Deputy Regional Governor for IPs and under the “IP Synergy” of the ARMM HELPS framework, we are undertaking two educational initiatives: 1. Affirmative action for IP LET passers to be deployed in their own communities. 2. Piloting of the new K+12 kindergarten curriculum to 5 years old children in thirty (30) IP communities. This will be undertaken in partnership with UNICEF who will provide technical assistance on the teacher training, provision of kindergarten materials and documentation of this pilot engagement. This is considered among the pioneer efforts in the entire country. In partnership with the Philippine Army, DepEd-ARMM finance the construction of a two-classroom school building in Barangay Kyamco, Datu Odin Sinsuat, Maguindanao. On April 2012, DepEd-ARMM and RSCO (Regional Sports Coordinating Office) signed a MOA for the sports development of the region. DepEd-ARMM and RSCO agreed to bring together their resources to promote and develop sports in the region, to provide opportunities for children and youth to access sports and other physical education opportunities. They are also task to insure the success of the program particularly at the provincial and regional levels in the selection of participating teams, athletes and technical officials of the ARMAA. A salient feature of this partnership is talent identification and selection, and scientific training of the local potential athletes and technical officials. The thrust now is the development and prioritization of sports events where ARMM have natural, inherent or historical advantage, such as but not limited to swimming, beach volleyball, soccer and dragon boat racing. A total of eighteen thousand four hundred and sixty-three (18,463) students are being enrolled in private schools and subsidized by government funds for a total of P250 million pesos. Under the USAID-funded AMORE’s School Electrification and Education (SEEd) Project, we identified off-grid public schools in Maguindanao, Tawi-Tawi, Sulu and Basilan to be part of this project. Each school received a package of support consisting of solar panels and batteries enough to run a small audio-visual room with at TV and DVD player. After training school coordinators, educational TV or ETV will be integral part of teaching-learning interaction. This technology-based pedagogy not only keeps the schools abreast with the 21st century, but also widens student’s perspective about the world around them. 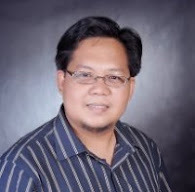 The current leadership of DepEd-ARMM was able to send three (3) teaching personnel from DepEd-ARMM are enrolled in at the Universiti Brunei Darussalam’s School Leadership Program (SLP); ten (10) personnel from accredited madaris have qualified for graduate and post-graduate scholarship in Indonesia. During the Investment Forum in November, Unibersiti Utara Malaysia (UUM) offered 10 slots for exchange studies in Malaysia and also offered teachers training for the ARMM. 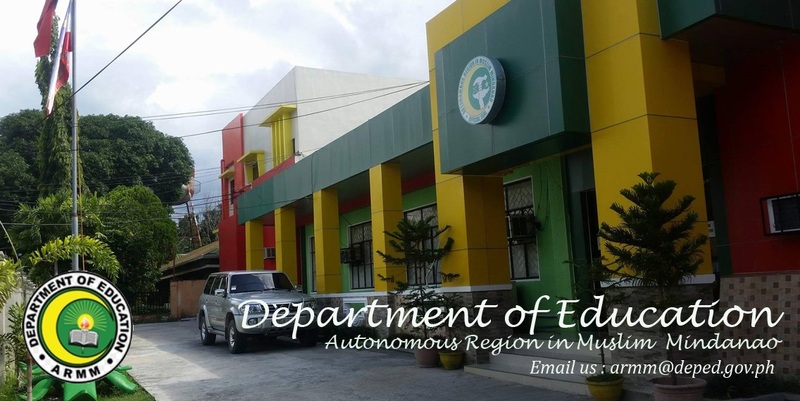 Deped-ARMM is continuing the conduct of the Region-wide Assessment for Mathematics, Science and English (RAMSE) and expanded its content coverage to include Arabic language and Islamic values education. For the first time in the history of ARMM, the National Qualifying Examination for School Heads (NQESH) a prerequisite for school head promotion was conducted in the ARMM in partnership with the National Educators Academy of the Philippines (NEAP). The DepED-ARMM assigned the members of the Civil Society Organization (CSO) to serve as proctors/examiners/roving supervisors, instead of teachers or government employees, in order to ensure partiality in the conduct of the examination. The involvement of the CSO was an instance of a shared-governance by the people and for the people. There were a grand total of 2,089 school heads who took the NQESH in the five testing centers in DepED-ARMM, though the biggest number of takers came from Lanao area and Marawi City with 747 takers. Following the success of the Library Hub in Tugaya, Lanao del Sur, and its proven contribution to students’ competence, a Library Hub for each division is being considered. The National Government continues to allot resources to further train Muslim teachers and it is aiming to hire an additional 2,200 Arabic teachers in the region. Islam-friendly and culturally sensitive curriculum for Muslim students was launched in Lamitan City. Ocular inspection, monitoring and evaluation for all 53 Pilot Madaris were conducted by a joint team of BME and DepEd Central Office. Forty four (44) Pilot Madaris granted Financial Incentives from Central Office. BME has also conducted Program Orientation for school, district and division heads and will be conducting the Language Enhancement and Pedagogy (LEaP) and the conduct of Arabic Qualifying Exam. A workshop to design “big books” for Kindergarten and Grade 1 classes was undertaken and 23 stories were developed for illustration. Nine (9) books are being graphically illustrated and up for committee review. After 22 years of existence, it was only this year that DepEd-ARMM officially adopted its own school calendar. The DepEd-ARMM school calendar provides a year-long view of what the public school system will undertake and observe. It incorporates the DepEd Central’s expectations as well as regional observances. The School Calendar was developed to provide uniform direction for school activities and observances. The Regional Education Learning Center or RELC is the training facility of every DepEd region. Unfortunately, since the birth of ARMM it was not able to establish one. Since the assumption of the current leadership, it has worked with DepEd Region XII, Cotabato City Division and Central Office and in the last DepEd National ManCom, the formal MoA signing and turn-over took place. The acquisition of the RELC XII, improvements of the physical set-up of the Regional Office and establishment of minimum staffing requirement for regional bureaus (number of new plantilla positions is being requested at DBM) is all aimed at providing speedy delivery of quality services. ACE (Action Center for Education)was launched on October 5, 2012 to provide assistance to callers and walk-in clients on matters pertaining to Education through the use of the following media: Short Messaging System (SMS), E-Mail Messages, Endorsements and letters, Telephone calls and Walk-in assistance.